"Our linebar days are over with", says Mark Gilbert, Director of Operations for the Kennebec Lumber Companies in Maine and New Hampshire. "Our Brewco is just as fast as our big linebar in our other mill. And... our cost per saw line is MUCH LESS with our Brewco. Less expensive bands, less expensive filing and benching, and less horsepower. 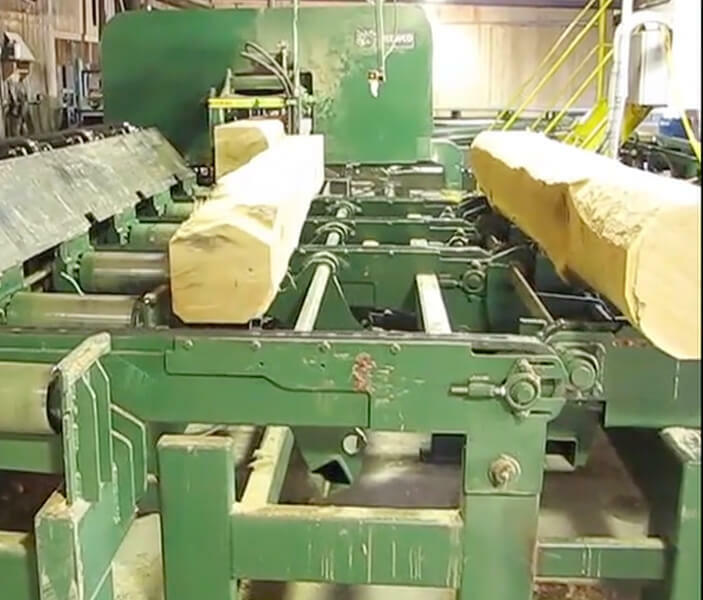 It has done such a great job that we are adding one to a sawmill we just bought". Brewco, Inc. is the pioneer of the thin-kerf resaw concept. We manufacture the highest-quality pallet mill equipment. Brewco has gained the reputation for the "Go-To" company in the crosstie industry. Most every modern stave mill built within the last two years are filled with Brewco Stave Equipment.